Designed to gently form a protective emollient layer to lock in your baby’s own natural moisture. To soften and help protect your baby’s skin from dryness. Provides all-day moisturization and leaves baby’s skin soft and smooth. 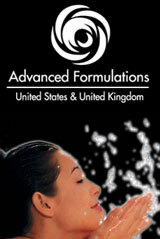 pH balanced formula is dye free, hypo allergenic and sensitivity tested. Vernix Caseosa , perfected by nature to protect and moisturize the skin even while in the womb of the mother has been known for centuries as the reason why a baby’s skin is “baby soft”. Today’s technology allows us to mirror nature. Vernixx is designed as a mirror image of Natures most perfect moisturizer.